Oh....any birthday is a good excuse for a vintage do! As some of you might know.....my birthday do this year will have a vintage theme to it! So I have been searching for a vintage look and discovered loads of little gems......from instructional DIY vintage hairdo videos to make up videos...... photos and even films with ideas of what to wear! Perhaps, those of you who are attending my birthday do might be just as overwhelmed with the variety of vintage styles as I have been....but here are a few really iconic ones to share! It might come in useful if like me, you want to DIY your vintage hairdo or find inspiration to decide on a look, and even if you don't do it this time it could come in useful for next time! My 1930s Marcel Wave Up-do! Finally...last but definitely not least......the 1950s to 1960s iconic look.....the fabulous Beehive!! Really as retro as retro, and ever so chic!! 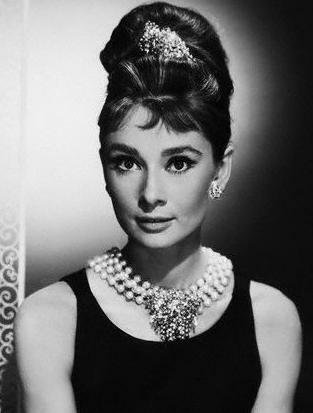 I always think of the lovely Audrey Hepburn when I think of this decade! But do be warned that back-combing is usually required to create the puffy volume for this style (see video)! Hope you will have fun doing some vintage styles, and I look forward to celebrating with you all very soon!! Until Saturday....have a great week and a fabulous evening!